Many web browsers support extensions that allow you to enhance them with new features. All major web browsers support extensions, but that wasn’t the case with Microsoft Edge. With Windows 10 Anniversary Update Microsoft finally brought extensions to Edge, and today we’re going to show you some of the best Edge extensions. What are the best Edge extensions that you should install? If you want to quickly perform certain actions in your browser, you might be interested in an extension called Mouse Gestures. This extension allows you to perform certain actions simply by holding the right mouse button and performing the correct gesture. For example, simply by holding the right mouse button and moving the mouse to the right you can go to the next page. If you want to go back, press and hold the right mouse button and move your mouse to the left. There are 16 default gestures available, and by performing them you can navigate through different tabs, or close specific tabs. If you don’t use certain actions, you can easily replace them with the ones you use. When you perform a gesture you’ll see a blue trail, and if you make the correct gesture you’ll get a small window showing you what it does. If you perform a non-existing gesture by mistake, another window with all available gestures will appear. This allows you to see all available gestures and quickly find the one you need. Mouse Gestures is a great extension, especially if you like performing gestures while using your PC. 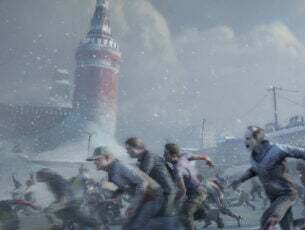 The extension is available for download from Windows Store. If you use Pinterest you might be interested in Pinterest Save Button extension. This is a simple extension that allows you to pin your favorite websites right from Microsoft Edge. To pin a certain website, simply click the Pinterest Save Button and you’ll be able to choose the image that you want to use for your Pin. After doing that, a new window will appear that lets you choose your board and your Pin’s name. As you can see, this is a simple extension that will make using Pinterest on Microsoft Edge faster and simpler than before. If you’re familiar with OneNote, then you might be interested in OneNote Web Clipper extension. This extension allows you to easily save websites you visit to OneNote. To do that, simply click Clip to OneNote button and choose how you want to clip the web page. You can save full page as an image, or you can save the page as an article. If you choose the article option all images will be removed and you’ll be able to read the article later without any distractions. There’s also a bookmark option that will save an excerpt and a thumbnail from an article, so you can easily read it later. All three options also allow you to add notes to saved pages. We also have to mention that you can highlight certain sections of the page and save them to OneNote. This extension also allows you to change font and font size if you decide to save a page as an article. You can also highlight important parts right from OneNote Web Clipper. OneNote Web Clipper is an amazing extension, especially if you use OneNote frequently. If you’re a OneNote user, be sure to download this extension from Windows Store. This is another simple extension that will improve your Reddit experience. Bear in mind that this extension only works on Reddit, so it won’t work on other websites. If you don’t use Reddit, you should probably skip this extension completely. This extension will make all threads endless, so you’ll be able to scroll through them with ease. In addition, the extension will also add support for night mode which can be useful during the night. Reddit Enhancement Suite also brings keyboard shortcuts for browsing, simpler way to switch accounts and ability to tag users. These are some of the basic features, and this extension has a lot more to offer. 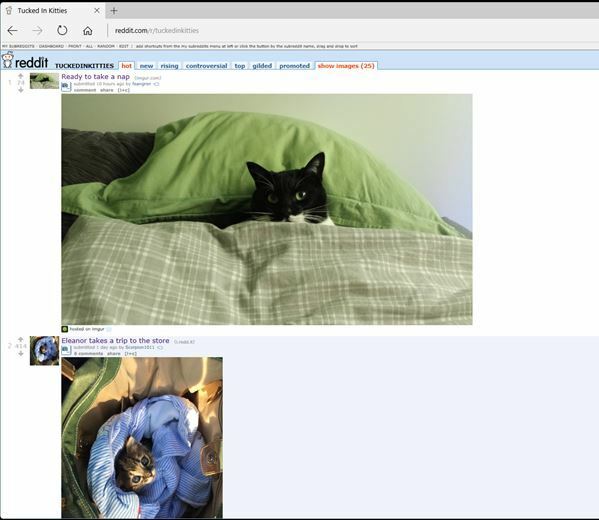 If you use Reddit frequently, be sure to download this extension from Windows Store. Pocket is a popular service that lets you bookmark websites and save articles. This service allows you to quickly bookmark any page and read it later on any device. After you find an interesting website, you just need to click Save to Pocket icon in Microsoft Edge and you’ll automatically add that page to Pocket. In addition to instantly adding current page to Pocket, you can also assign tags in order to organize your saved pages. If you want, you can also archive or remove saved page from Pocket right from the menu. This extension also allows you to add a keyboard shortcut so you can save your favorite websites quickly. If you want, you can also add Pocket to Reddit or Twitter from the settings menu. If you read a lot on the Internet, Save to Pocket might be perfect for you. LastPass is a popular password manager that will keep all your passwords secure in the cloud. By installing LastPass extension you won’t have to enter any password online again. Instead of manually entering passwords, LastPass will enter them for you, thus keeping them safe from malicious users. 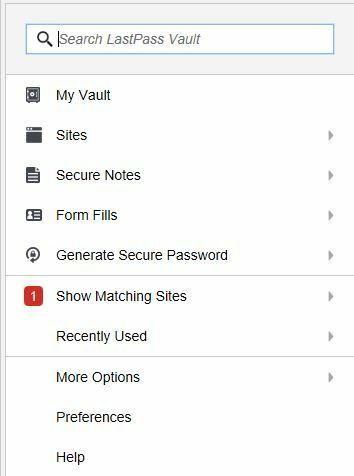 LastPass extension allows you to quickly search your Vault and to copy your username, password or website URL. You can also quickly edit your login information if you want. This extension allows you to view saved websites, saved notes or saved form fills. You can also generate unique and secure password right from LastPass extension. If you want, you can also set length and types of characters that your password will use. Lastly, you can view matching websites or you can view recently used passwords. LastPass extension will also warn you if you have any duplicated password and ask you to update it. Using the same password for two or more websites is a security risk, but LastPass will detect any duplicated passwords and warn you about them. LastPass is an amazing extension for Edge that will make your online experience more secure, so be sure to try it. We have to mention that we had some minor issues with two-step authentication, but we easily resolved it by restarting Edge. If you frequently visit websites that aren’t in your native language, you might want to consider using Translator for Microsoft Edge extension. This extension will integrate itself into address bar and it will translate any page with just a single click. Currently, there are more than 50 languages supported, so you can easily translate almost any page. If you want, you can use the option to automatically translate any webpage that isn’t in your native language. You can also translate segments of the page simply by selecting them and choosing the Translate option from the context menu. 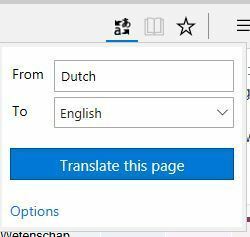 Translator for Microsoft Edge is an extremely useful extension, and it will be perfect for you if you visit websites that aren’t in your native language. Office Online is an extremely useful extension for all Office Online users. Using this extension you can easily open any recent Office Online file, but you can also create a new document right from the extension. Bear in mind that the extension doesn’t come with a built-in editor, so all available options work as Office Online shortcuts. 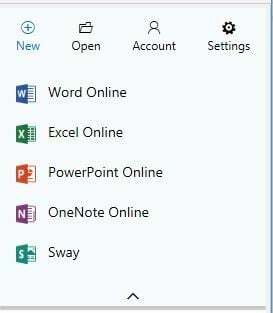 This is a simple and useful tool, and if you use Office Online frequently, be sure that you try it out. 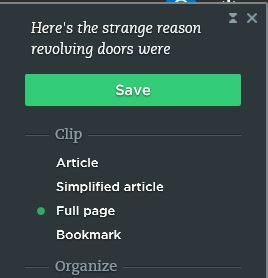 Evernote Web Clipper is another extension that can easily save interesting websites or articles. Saving websites is rather simple, and in order to do it you just need to click Evernote Web Clipper icon. You can save the page as an article, and this option will remove unnecessary elements such as sidebars and keep only important information. 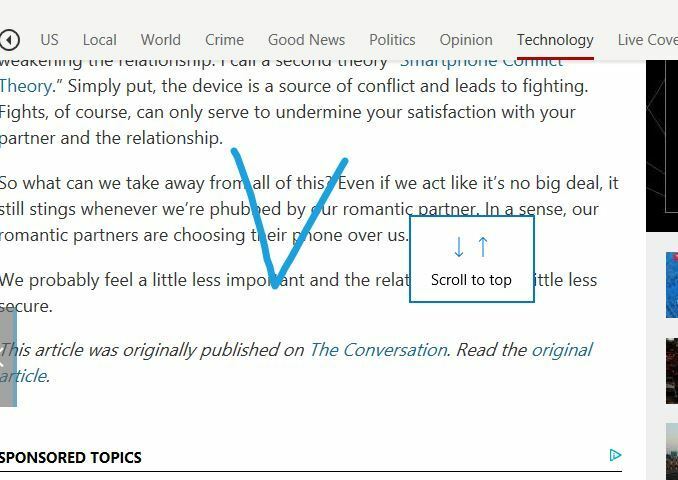 Simplified article option will remove all styles from the page which makes the page easier to read. If you want to save the complete page with all its elements, you can use the Full page option. Lastly, there’s a Bookmark option that will save a small excerpt of the page. You can also select certain parts of the page and save them. If you have Evernote account, Evernote Web Clipper is an extension that you need to try out. TamperMonkey is an extension that allows you to add userscripts to certain websites. By doing so, you might be able to enhance functionality of certain websites. You can download all sorts of third-party scripts and add them to a website thus altering its functionality. All these scripts run on your computer, so you won’t be affecting the website in any way by using user scripts. The tool allows you to view all added scripts, and if you’re not pleased with a script you can easily disable it right from the extension. If you’re a developer, you can even add your own code and create your own custom scripts. This is a great tool for developers and computer enthusiasts, but if you are an average user, you might want to skip this extension. If you frequently watch videos online, you might be interested in Turn Off the Lights. This extension will focus the video that you’re watching by covering other web elements with black overlay. This is a simple extension, and in order to turn it on simply click the Turn Off the Lights icon. Even though this is a simple extension, it comes with extensive configuration. For example, you can configure color or opacity of the overlay. If you want, you can also use a gradient instead of solid color for overlay. There’s also an option to use background image or dynamic background as overlay. If you want, you can configure this extension to turn itself on automatically on certain websites when you click the play button. Turn Off the Lights supports extensive configuration for YouTube, and you can even set which elements will be visible while watching YouTube videos. You can even set player size, quality and other options regarding YouTube. This extension also supports certain visual effects, so you can set atmosphere lightning effects for videos. If you wish, you can also toggle fade in and fade out effects or use reflection effect. This extension also supports some advanced options, so you can easily control dimness level, or show video volume control or video toolbar. If you want, you can also turn on video toolbar or eye protection feature. Turn Off the Lights also supports various keyboard shortcuts, and you can even add support for context menu or change how the mouse works with the extension. You can also turn on this extension for all open tabs and you can even use password protection so that others can’t disable it. The extension also supports Night Mode, and thanks to the Camera Motion feature you can easily turn on Turn Off the Lights by performing a hand gesture. We have to mention that this feature requires a front-facing camera on your device. Another feature that this extension supports is Speech Recognition, so you can control the extension and video playback with your voice. Turn Off the Lights is a simple extension, but it supports advanced configuration. If you frequently watch videos online, we suggest that you try this extension out. Page Analyzer is a tool designed mostly for web developers. The tool will scan any website and and check if it follows the correct practices. For example, it will check if you use CSS fallbacks, HTML5 and modern doctype. You can expand any of the warnings and see the detailed information along with the problematic code. This tool is designed for web developers, and if you want to ensure that your website is using the best practices, be sure to download Page Analyzer. We have to warn you that the tool can be bit sluggish depending on the complexity of your website, so keep that in mind. If you frequently buy products online, you might be interested in Microsoft Personal Shopping Assistant extension for Edge. This extension will list all recently browsed products and allow you to save your favorites. Regarding saving, you can add products to different categories so you can organize them better. The extension allows you to sort the products by price, reviews or price change. You can even get notifications when a price for certain product changes. In addition, you can also easily filter all your saved products. Microsoft Personal Shopping Assistant is a great extension if you shop online frequently. 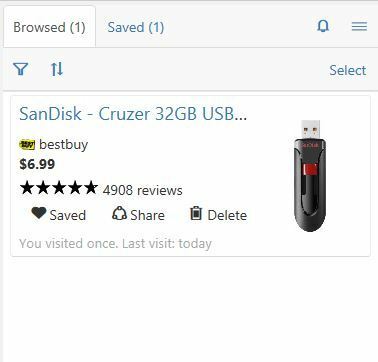 The extension allows you to keep track on all recently viewed products, so it will be rather helpful while making a purchase online. If you frequently buy on Amazon, you’ll be pleased to know that there’s a dedicated Amazon extension for Edge. Amazon Assistant will allow you to quickly search for any product on Amazon right from the extension. 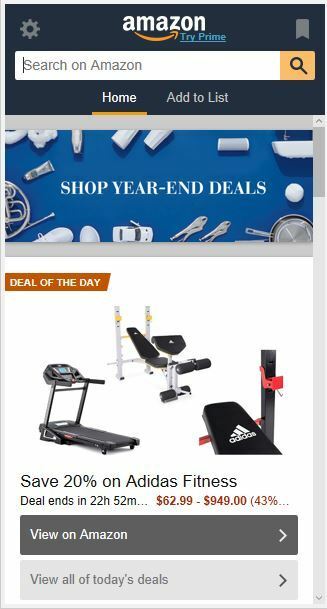 In addition, this extension allows you to add products to your lists or to view daily deals right from the extension. This is a simple extension, and it will surely be helpful to all Amazon users. Extensions allow you to customize and add new features to Microsoft Edge. If you’re looking for the best Microsoft Edge extensions, be sure to try some extensions from our list.